You need the proper head gear when you’re storming the castle! 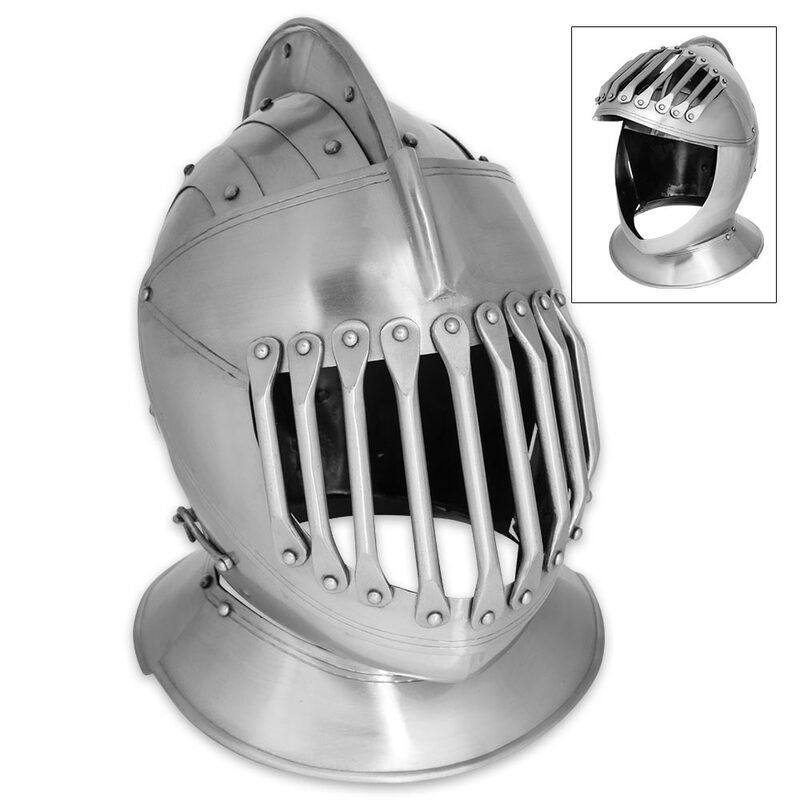 Our Medieval Knight’s Helmet will guarantee you protection from arrows flying because it’s constructed of 18-gauge steel with a polished finish and steel stud accents. The ridge-top helmet has a grill-style face mask that flips up and a neck guard. 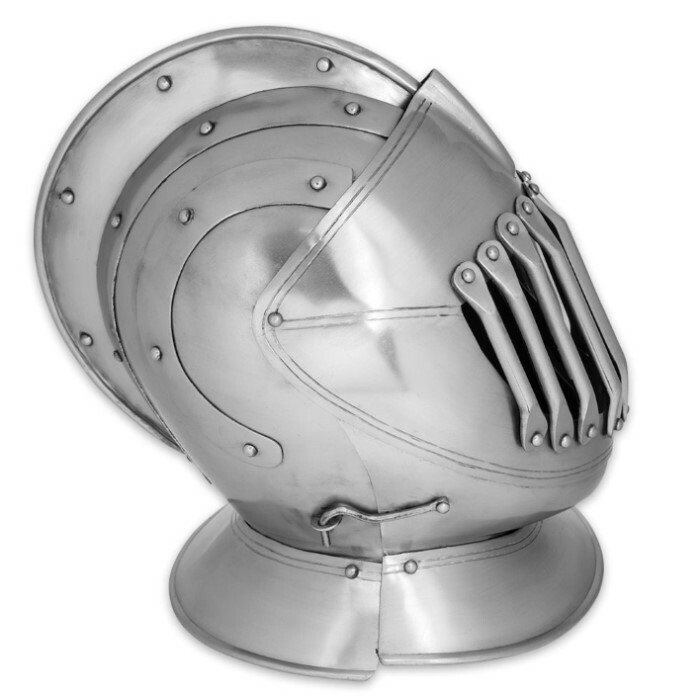 The helmet has a latch on the side so that it’s easy to take on and off and its inner dimensions are approximately 26”. 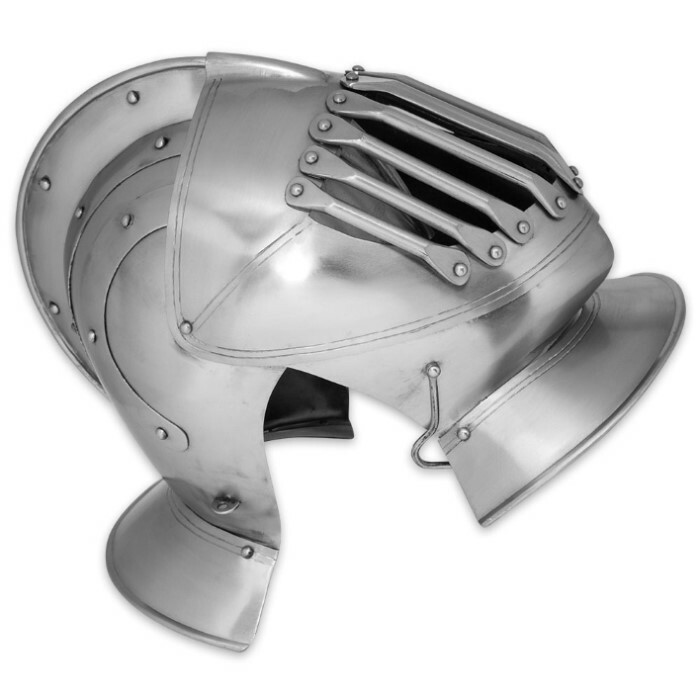 This knight’s helmet is a seriously high-quality piece that’s perfect for cosplay events and battles.